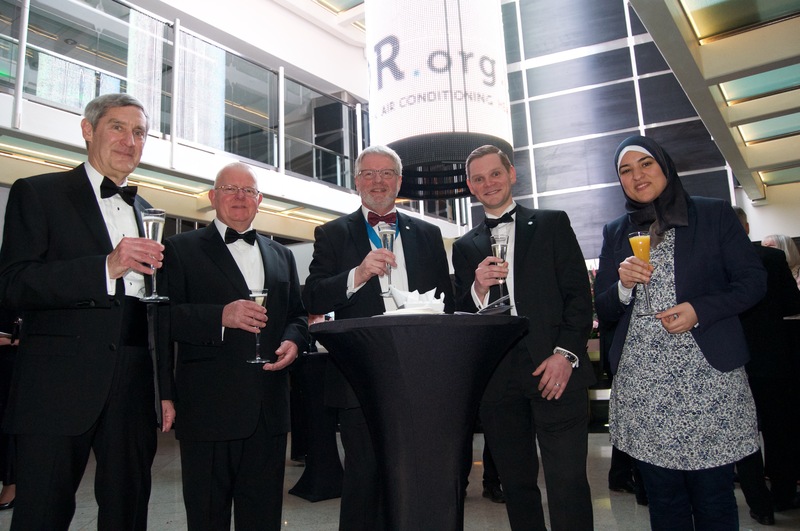 The IOR promotes achievement and innovation in refrigeration, air conditioning and heat pump applications through a number of annual awards. The awards cover individuals at all stages of their career including students, researchers, authors, innovators and lifetime achievement. The award winners at the 2019 IOR Annual Dinner. Mark Mclinden, Winner of the J&E Hall International Gold Medal. Joe Birch, Winner of the Service Engineer Lifetime Achievement Award. Chris Druce, Winner of the Lightfoot Medal. Eman Hussein, Winner of the Ted Perry Award for Student Research. This award is designed to encourage and promote research by students related to refrigeration and air conditioning. It highlights future leading thinkers currently working at Undergraduate or Post Graduate level. The award includes a prize of £1000 sponsored by Hawco Ltd and a set of ASHRAE Databooks donated in the memory Ted Perry, Past President of the IOR, by his wife Barbara Perry. The winner is invited to give a talk to IOR members based on their research. Voted for by the IOR membership, the winner is the individual or team who have presented the best paper to the IOR during the year. The prize includes £500 and a Medal and is supported by Lightfoot Defence in honor of the Past President of the Institute, Kenneth Lightfoot FInstR. The IOR Service Engineers' Section makes a lifetime achievement award to recognise an individual's commitment to a career in service, maintenance or installation engineering. This award includes a cash prize and invitation to the IOR Annual Dinner. It is sponsored by The ACR Journal Trainee of the Year Award.